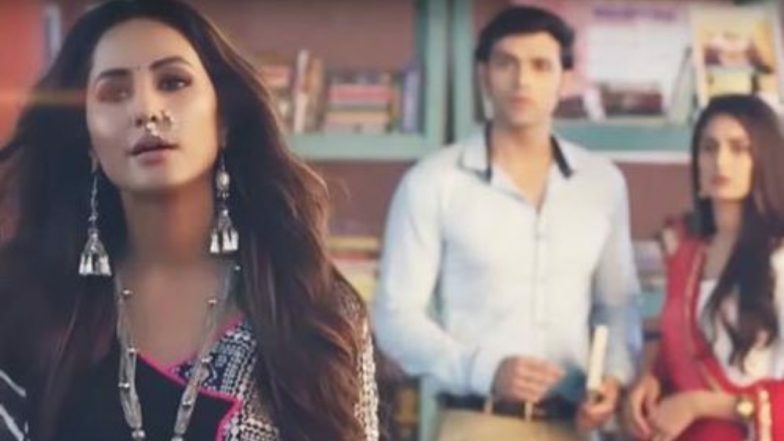 Today’s episode of Kasautii Zindagii Kay 2 starts with Anurag (Parth Samthaan) telling Prerna (Erica Fernandes) in front of everyone that she is his wife and he is married to her and that he will always be with her. Komolika (Hina Khan) and Mohini are shocked hearing this. Prerna tells the Inspector now that they have heard the truth they should arrest Komolika and not her. Komolika gets angry takes Anurag inside to talk. Pooja Banerjee Aka Nivedita of Kasautii Zindagii Kay 2 Hurts Her Jaw During BCL 4 Match; Turns Up for Shoot Despite Injury. Meanwhile there Veena is giving tea and snacks to the groom who has come to see Shivani, Suman tells Shivani and the boy to go to the other room and talk with each other. There Komolika gets mad on Anurag and tells she will not leave anyone who comes between her and Prerna. Anurag tells Komolika that she is not understanding why he did this all and that he only loves her and she should trust him and tells now see what he will do and goes from there. There Shivani tells about the past to the boy, he asks did she still loves him but she says there is nothing between them now. the boy asks whether she will marry him so that he will go and tell everyone that they both are ready for this proposal. Suddenly Shivani sees Ronit there and is scared and shouts. Ronit tells that he loves her so much and that he won’t allow her to be anyone’s, Shivani says that she will never marry her and goes from there. Down all are asking Shivani whether she is ready for the marriage, she tells she is ready for it. Ronit comes down with a gun, Shekhar shouts at him and tells him to go from there. Ronit tells the groom and his family to go from there or else he will kill them. Veena gets angry and slaps Ronit, he says that Shivani is his and he will only marry her. Mohini is proud of Komolika as she made Prerna leave the house, Komolika says she has to thank Anurag for all this and goes to say sorry to him, but he says he is not interested in it and goes from there. Anurag is upset as he could not help Prerna. In the precap, In the jail, as Anurag and Prerna hug each other, Komolika comes and shouts at them and says she will never allow them to come together.